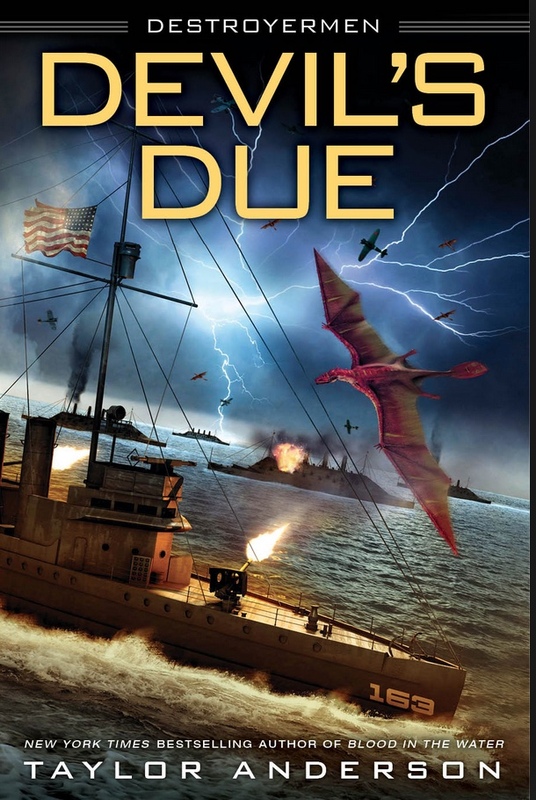 In case you are not familiar with the Destroyermen series, it is about the crew of an aging “Four-stacker” American destroyer, the USS Walker, that along with a few other friends and enemies, have somehow crossed over an alternate world at the onset of the Second World War in the Pacific. 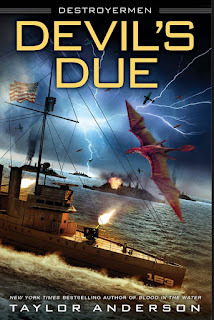 Devil’s Due, as is the rest of the series, is a slow reveal, showcasing more Anderson’s world-building talents that have underpinned the series. It adds new details about new a new enemy, the fascist League of Tripoli and an ally, the New United States. I must say I’ve grown to be a big fan of Taylor’s world-building skills, which is something that all serious fiction writers – no matter what subject or genre – need to learn. One of the highlights of the series is the character arcs that run throughout the novels and the development of both protagonists and antagonists undergo - warning, spoilers ahead! Long-time readers of the series know that it’s Anderson’s habit of knocking off several major characters per novel, and Devil’s Due is no exception with some very major, major developments in this regard. I admit I am a continuing fan of the series. Author Anderson maintains the same steady narrative drumbeat he established in the first book of the series, Into the Storm and continues with his latest effort. The result is a fun, engaging ride, with characters you find yourself caring for. Highly recommended for all the right reasons. after his death. Second, I will follow up with a new novel (in trade paperback) by the ever-talented and thought-provoking S.M. Stirling, Black Chamber, which is set in an alternate First World War. Third, I am also looking forward to reviewing Mecha Samurai Empire, a novel by Peter Tieryas, set in the same alternate universe as his earlier United States of Japan, which I reviewed earlier in this space.